Improvements This site has many great attributes. Great soils, long frontage, level site, great visibility. Land Use Gas Station, Convenience Store, professional office, retail, or medical would be ideal. 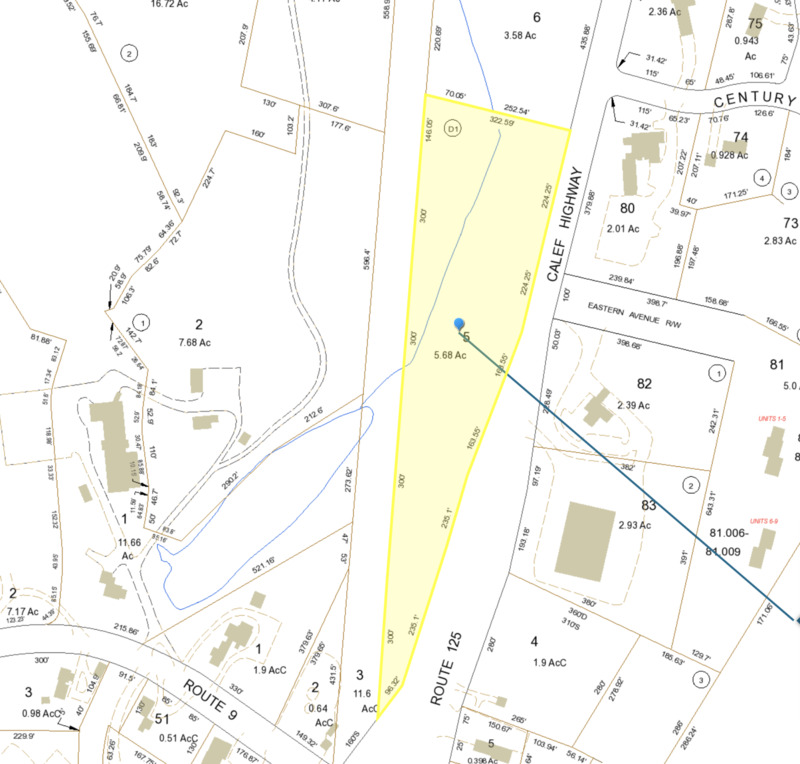 Located at the four corners of Barrington, this site has a prominent location on an extremely busy intersection of Route 125, and Route 9. This is a great location, for any business that desires to be right in the middle of the town center area of Barrington with high traffic numbers and high visibility. Route 125 has approximately 14,000 vpd as of 2014 NHDOT traffic count. Route 9 has approximately 7400 as of same date. Join a thriving community of businesses in a small area. What are great uses for this property? Gas Station, Convenience Store, professional office, retail, or medical would be ideal. Located at the crossroads of Barrington, with surrounding long established businesses, as well as a number of newer additions to a thriving local area.